In an effort to expand its Linux offerings, Dell is researching new netbook-type devices and will soon offer netbook Linux OS upgrades, a company official said on Wednesday. The company is researching the possibility of offering new Linux-based mobile devices called smartbooks, said Todd Finch, senior product marketing manager for Linux clients, at the OpenSourceWorld conference in San Francisco. The company will also upgrade its Ubuntu Linux OS for netbooks to the latest version in the next few weeks, he said. Smartbooks are netbook-type devices that are powered by chips designed by Arm. The devices mostly support the Linux OS and are designed for those who rely on the Web for most of their computing. Dell couldn't say whether it would ultimately offer a smartbook. Smartbooks have similar characteristics to netbooks, including cramped keyboards and small screens. No major PC vendor has yet announced an interest in smartbooks, though small vendors are pushing them as an alternative to netbooks, which are mostly based on Intel's Atom chips and come with Microsoft's Windows OS. Many vendors, including Qualcomm and Freescale, are providing Arm chips for smartbooks that could hit shelves by the end of this year. Smartbooks with Arm chips have inherent advantages over x86 chips like Atom, such as lower power consumption and longer battery life, Finch said. The chips are also becoming more powerful, as indicated by the growing number of applications on smartphones, he said. "I think it's natural and reasonable for us to begin looking at them as they begin scaling their processors up," Finch said. Putting an Arm chip -- mainly found in smartphones -- inside a lightweight PC could provide an early entry point for Dell into the smartphone space, said Jay Chou, research analyst at IDC. Dell has hinted at entering the smartphone area many times, but no product has materialized yet. While netbooks are the craze, smartbooks are hard to ignore, Chou said. Interest in the device will grow over time because it enables lightweight and low-priced computing devices, which could interest PC makers. Pricing is also a major criteria for buyers, and Linux netbooks are cheaper than their Windows counterparts. But smartbooks could struggle as Windows remains the dominant OS for netbook-type devices, with a strong software ecosystem around it, Chou said. Smartbooks may have a hard time gaining traction, and much of their future success will depend on the software ecosystem. The target market for smartbooks will be no different from Linux-based netbooks as they both have the same usage scenario, Dell's Finch said. 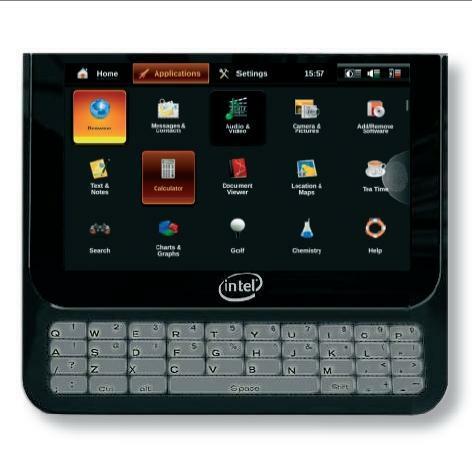 Like smartbooks, Linux-based netbooks are targeted at those looking for quick access to Web-based applications. "The more [Web-based] applications there are, the better it is for Linux," Finch said. The growing interest in Linux is partly driven by Dell's success with Linux on its netbooks. Close to a third of all netbooks Dell ships during certain quarters are preloaded with Linux, he said. Dell is currently the fifth-largest netbook vendor worldwide, according to IDC's Chou. Linux-based netbooks made up about 5 percent of overall worldwide shipments during the last quarter. However, a bulk of Dell's netbooks today ship with Windows XP, which remains the OS of choice for consumers, Finch said. The popularity of Windows won't change overnight, he said. "There are still a large percentage of people that prefer Windows, even on a netbook," Finch said. Many are familiar with the look and feel of Windows, and are unwilling to trade in for the longer battery life offered by Linux. He couldn't comment about the possible adoption rates of Windows 7, which is due for release on Oct. 22. Dell currently offers Ubuntu Linux version 8.04 with the Mini 10v netbook, which is being upgraded to the latest 9.04 version -- code-named Jaunty Jackalope -- in the next few weeks. Dell will be pre-loading the Web-centric Ubuntu Netbook Remix, which is designed for small screen sizes, on future netbooks. Its Web-centric design provides quick access to online applications, and the OS builds in support for a larger number of drivers. The company is also researching Google's Chrome for use in netbooks. The OS is a thin version of a Linux-based operating system that also will provide quick access to the Web and online applications.